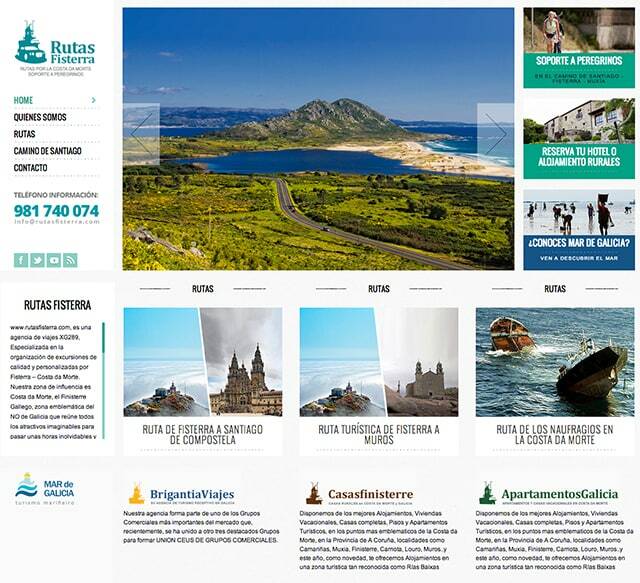 Web design for Rutas Fisterra, a company dedicated to promote da Morte coast area in Galicia. 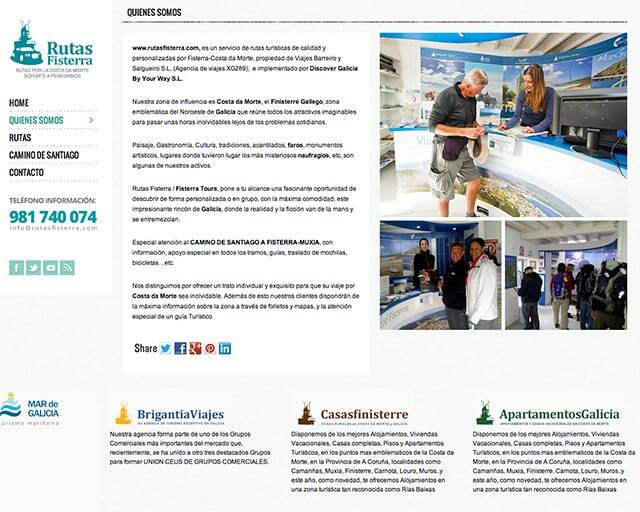 We developed a web focus on services for the pilgrims of the area. The web could be seen in different supports (mobile, tablet and pc).